Cardiovascular disease encompasses heart, stroke and blood vessel diseases. Coronary heart disease, including heart attack and the chronic condition angina, is the leading cause of death in Australia accounting for 15% of all deaths in 2011. Stroke is the second leading cause of death in Australia. In many cases these conditions are preventable by modifying risk factors including diet. Eating grain foods, especially whole grain foods and those containing fibre from oats and barley is associated with lower risk of heart disease. The evidence for the role of whole grains in reducing coronary heart disease risk is compelling – it shows increasing whole grains to 2 – 4 serves a day can reduce the risk of heart disease by as much as 40% – equal to the effect of statin drugs. In addition, for every 10g of cereal fibre in the diet the risk of coronary death decreases by 10%. Few studies exist that specifically examine the relationship between whole grain intakes and risk of stroke. However, one notable study examined the relationship of whole grain intake and risk of ischaemic stroke in a 12-year follow-up of the Nurses’ Health Study, which included over 75,500 women. Women eating 2.7 serves of whole grain food per day were found to be 31% less likely to suffer stroke compared to women eating less than half a serve of whole grain food. Three prospective cohort studies have reported an inverse association between whole grain consumption and hypertension. 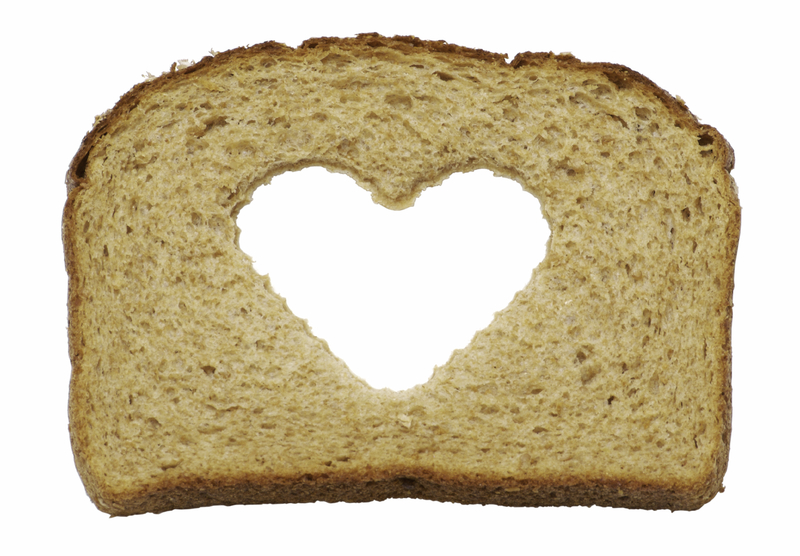 Three large scale studies have indicated those that have intakes of 48 grams or 2 – 4 serves of whole grains or more have a 19 – 23% reduced risk of developing hypertension. The suggested mechanisms by which whole grains can reduce blood pressure include increased insulin sensitivity, prevention of weight gain and improved endothelial function. Significant reductions in blood lipids have been demonstrated with oats, barley and psyllium. A 2007 Cochrane Review of randomised trials assessed the evidence for the relationship between consumption of whole grain foods and the effect on risk factors for CHD. The trials are predominantly on oats and seven of eight studies reported lower total cholesterol and LDL cholesterol with oatmeal foods compared to the control foods, with a significant weighted mean difference of -0.19mmol of total cholesterol/L. Soluble Fibre: A major mechanism by which whole grain foods affect cardiovascular disease risk is through the action of viscous soluble fibres, including beta-glucan and soluble pentosans, which slow digestion and increase cholesterol excretion. Such fibres can inhibit cholesterol absorption by as much as 20% and promote the excretion of bile by up to 144%. Nutrients and Phytochemicals: While soluble fibre is an important mechanism it is not the only one. It has been clearly demonstrated that wheat fibre does not reduce serum cholesterol levels, but in a randomised crossover study published in 2010, consumption of wholemeal wheat foods for three weeks significantly decreased fasting plasma cholesterol and LDL cholesterol levels in healthy individuals. This suggests that components other than the soluble fibre in whole grain foods may also have an effect on cardiovascular risk. Other components of whole grains which have been suggested to be important include magnesium, folate, alpha-tocotrienol and the variety of phytochemicals which may directly or indirectly inhibit oxidative stress and inflammation. Polyphenols: Grain-specific polyphenols exist, such as oryzonol in rice, avenanthramides in oats and ferulic acid in corn and wheat. Some of these phenolics have anti-atherogenic activity. Certain other compounds found in grains like vitamin E and its isomers (tocopherols and tocotrienols), selenium and polyphenols may also bestow cardio-protective benefits. Gluten: Grain proteins such as gluten, with a low lysine to arginine ratio, may help to reduce the risk of developing atherosclerosis through its effect on nitric oxide production.